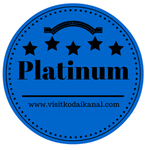 Platinum Rating Kodaikanal International School (KIS) is the No 1 International School in India. KIS is an autonomous residential school with a broad college-oriented curriculum, serving young people from a wide diversity of cultures. KIS combines an ambitious, challenging academic program and a rich range of extracurricular activities within a Christian values framework that draws on a variety of cultures and prepares students for global citizenship. International Baccalaureate (IB) and American curricula are offered to around 600 students in Preschool through grades 1-12, vertically coordinated in Elementary, Middle and High School programs.KIS entry is open to all qualified students at all grade levels and full residential students are admitted from grade 4. KIS school year runs from mid-July to end-May and admissions are open throughout the year. 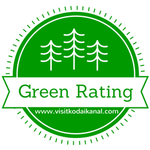 Green Rating with solar panels and waste management systems KIS is a leader in conserving energy and being eco friendly. Email - kisaacouncil@kisaa.org for enquiries regarding admissionions into Kodaikanal International School. The founder of St. Peters School Mr. J. Sambabu pioneered the start of Indian English medium schools in Kodaikanal in the year 1979. St. Peters School has currently entered into the 30th year of gratifying service to the people of Kodaikanal; founded by J. Sambabu and his wife Nirmala in the year 1985, since then the school has grown from sixty students and two buildings to over seven hundred students and sixty thousand square feet of buildings and infrastructure. The new infrastructure includes: a one of a kind basketball stadium, international standard hostels, large sporting grounds, a well stocked library, and a beautiful chapel. The school was named Peter’s, after the Greek word ‘petros’ meaning rock and this strength is evident in it’s support for their hardworking teachers and generations of brilliant students. The school is renowned for its academic standing and leadership building qualities. BHARATIYA VIDYA BHAVAN is a co-educational residential public school with a CBSE affiliation. It was founded in 1938 by Kulapati Dr. K.M.Munshi, a farsighted visionary and practical idealist, with the blessings of Gandhiji and inspired by several stalwarts of the freedom movement such as Shri C.Rajagopalachari, Pandit Jawaharlal Nehru, Sardar Vallabbai Patel, Rajaji, Dr.Rajendra Prasad and Dr.S.Radhakrishnan, who were also the founder members. The Bharatiya Vidya Bhavan has grown into a comprehensive intellectual and cultural movement. Over the years, from a modest ideological research institution, the Bhavan has steadily grown into a comprehensive, intellectual and cultural movement with an international outlook. Zion is a co – educational residential English Medium Matriculation Higher Secondary School. The school offers quality education from Kindergarten to XII standard. The medium of instruction is English . Tamil, Hindi and French are being taught as second languages. Students belonging to different nationalities benefit immensely from the academic and co – curricular activities. Apart from academic excellence Zion lays a great emphasis on the all round development of the personality of the students, and believes in discipline with self – esteem.